The best summer internship ever? We’ve had a lot of conversations recently with clients about our Search Engine Optimization (SEO) services and thought this post would help you understand the SEO equation. Over the summer TVI spun off a new company developed within our Blue Sky Labs innovation process – BubbleBall. As part of our marketing strategy, search engine optimization is playing a critical role in the company’s sales and marketing success. SEO requires a deep understanding of what users actually type to find your products and services. How do you go about finding the keywords to focus on? You hire us. Just kidding. Sort of. Here are things we do and places to look at to compile your first keyword set. Google Analytics: The first place to start is your existing analytics. If you don’t have Google Analytics installed ask your webmaster to do it now. Learn how here. Once you’re collecting data your Keywords report under Acquisition > Campaigns > Traffic > Organic will show you a list of current keywords that users are finding your website for. Many of these may be simply brand related keywords if you haven’t done much search engine optimization. But it’s a start. Pay-Per-Click (PPC) campaign: While more complex and requiring an additional budget we highly recommend doing this before embarking on your organic keyword optimization. Here’s a more detailed explanation of why we recommend PPC before SEO. A PPC campaign will give you more data from Google that you may not receive otherwise and help you narrow down your target keyword list. Google hides keyword data and opportunities under the ‘not provided’ label. By using PPC you can access a treasure trove of data. Google’s Adwords keyword report will give you a list of all the search queries people typed to find your ads. Based on various factors including click through rates, cost and conversion rates (sign ups, leads, purchases) we can then understand further how people search and what they type. 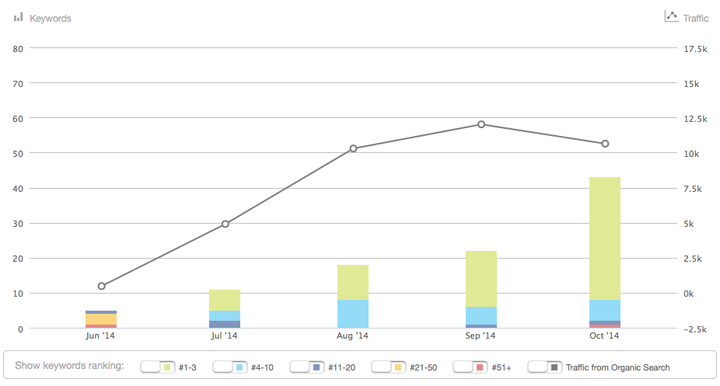 You’ll also get data on which keywords are most competitive. Other analytics tools: As an agency we use various search analytical tools to gather further data and automated opportunity recommendations. Tools such as Raven, Moz, and Open Site Explorer are just a few that we use to discover new keywords as well as monitor them. So you’ve got a list of dozens, maybe hundreds of keyword phrases. How do you decide which to begin building content for? You can’t focus on all of them. This part really relies on various factors which your analytical tools can help you figure out. Factors include competition, volume of searches, and also your own ability to create content related to the keyword phrase. We develop a keyword value matrix that factors these variables in and gives us an index of the best keywords to focus on. So you’ve got your first list of 5 keyword phrases you want to focus on. Yes, keep it to a short list to begin with. The next critical item in the SEO equation is relevant content and some technical on page optimization. This requires new web pages to be built with best practices for on page optimization or existing web pages to be optimized. By creating relevant content you signal to search engines that your site is offering useful content that it can match up to users’ keyword searches. For low volume searches that are not competitive you may have success very quickly in seeing your webpage ranked high. For example if you were to optimize a page for the phrase “what widgets should I buy for my girlfriend on valentine’s day” you’d very likely rank #1 very easily. But you’re not looking to go after those long tail keyword phrases until you’re really got your groove on and workflows in place to produce a lot of optimized, long tail pages. Until then you’re likely focusing on more competitive keywords, but not the most competitive. We want results after all so you can show your CEO your efforts are paying off and the continuous investment budget is approved. 3. Links. High quality links. A big part of the SEO budget will be devoted to link building efforts through PR, blogger outreach, content syndication and many other tactics. 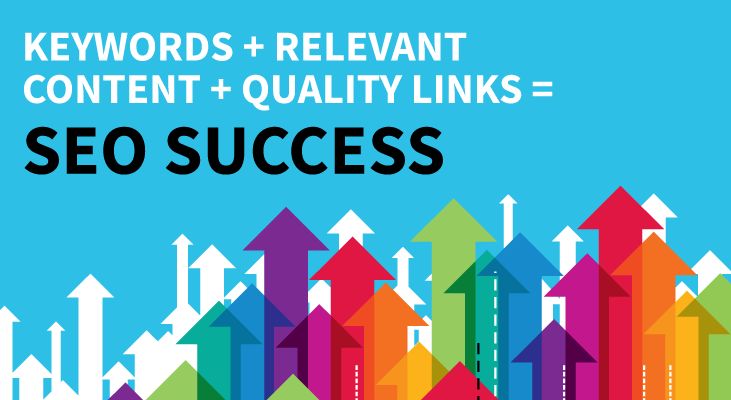 Link building is a continuous long term process to increase the popularity of your webpage. It’s probably the hardest, most time consuming, and arguably, the most important piece of the equation because it needs to be maintained. Search engines in a nutshell like relevant, fresh, popular content and they detect popularity by scanning the web and seeing what pages are being linked to. In addition, social shares are now factoring in as a signal of popularity. When SEO is done right you can expect to see reports looking like this where you see more keywords ranking in higher positions over time, and as a result, more organic traffic. But you’ll notice that even with more keywords ranking high you may not always see a direct correlation in upward traffic. There can be many factors for this including seasonality of searches, competition from paid advertising, or your users keyword behavior simply shifting over time. So don’t feel your task is done. Find new keywords, create more content, get new links and keep expanding your inbound marketing web.